I couldn't wait to wake up this morning and order the free sets I earned through Stampin' Up... who wouldn't love free stamps???!!! Jacqueline brought a card she made at Sarah's workshop, using the SAB set "Very Punny" - the fish shows through a circle punched out of the front, and he's covered in Crystal Effects for a shiny appearance! Laurie's card really is mind-boggling when you think of all the cutting involved in doing the border, but WHAT an awesome effect! You can't see it in the scan, but the wee letters are all raised on Dimensionals too -- wow. 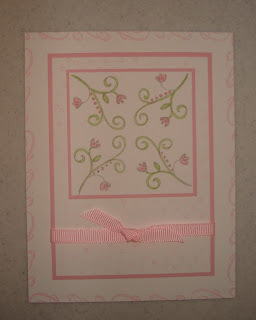 Ardyth's card has a great border as well...I had never thought of using that stamp in that way but I love the effect. 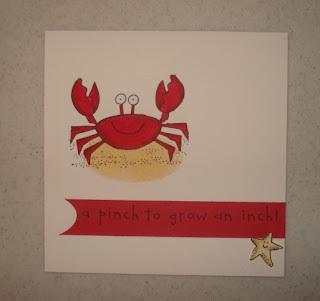 Ahhh....Crab & Company! I can't wait to get my hand's on this set too :) Ardyth's second card convinced me I *need* it sooner rather than later. 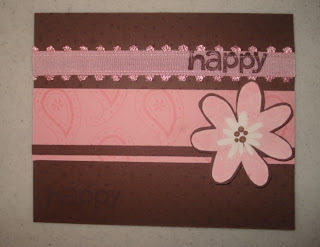 ETA: Jacqueline's card uses the pretty "Flirty" ribbon from the Winter mini catalogue -- it's such a shame that this one is no longer available, since I loved it. 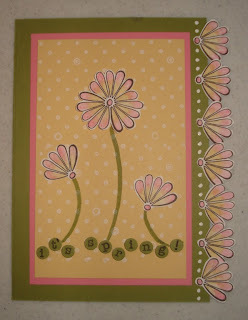 The Bodacious flower has been trimmed out and mounted on Stampin' Dimensionals for extra effect. 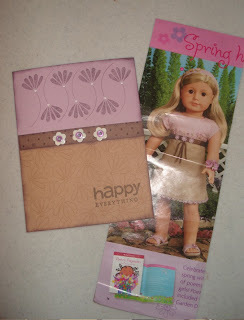 Last but not least today is Ardyth's 3rd card, inspired by an American Doll advertisement. It's an unusual colour combination but I think it really turn out nicely. Later on this week I'll post the other cards from Saturday's Hodgepodge Hardware class as well as some other Spring Mini card samples I've received! 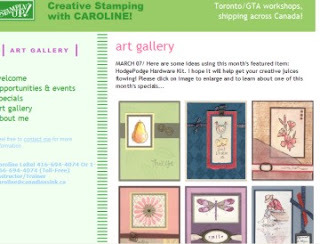 Stamping for a great cause! I received the following email from Tanya Dallaire, one of the demonstrators in our group. I told her I'd be happy to share this information with all of you in the hopes of reaching a great audience!! My name is Tanya Dallaire and I am writing to you from Markham. Pictured above is Shania Johnston, a brave 8 year old girl in our family’s community. Shania is doing battle with a form of childhood cancer called Neuroblastoma. Before the holidays, she underwent a bone marrow transplant and she is on the road to recovery and hopefully also on the road to beating the odds and being one of the 20-25% of children who survive this terrible cancer. To raise money for Neuroblastoma Research, Shania and some of her friends starting making and selling necklaces and bracelets (see Shania’s story at the link above). Shania’s fundraising efforts have turned into “Shania’s Sunflower of Hope”. 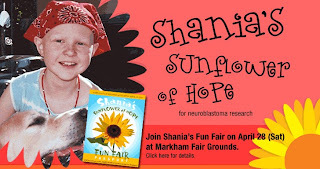 She has grown from necklaces and bracelets to “Sunflower of Hope” t’shirts and now, Shania will be hosting her 1st Annual Children’s Fun Fair at the Markham Fair grounds on Saturday April 28th from 10am to 5pm. Her school and community are rallying with her to make all this happen. I have offered to set up a children’s “Stamping Station” at the Fun Fair with all proceeds going to Shania’s Sunflower of Hope. I couldn’t possibly make enough cards myself so I am writing today to enlist the help (and enthusiasm J) of fellow stampers like you. If you could find some time to make/donate 5 or more any-occasion cards (and matching envelopes, if possible), I would be so grateful for your help! My hope is that, while their children are enjoying the fun of making a project, parents will purchase packages of home-made cards. This will make the “Stamping Station” that much more of a fundraiser for Shania and her Sunflower of Hope campaign for Neuroblastoma Research. Your cards can be packaged up or not. If you do package them up, please feel free to add a note like “Donated for Shania’s Sunflower of Hope…. Your Name, City etc). If you know any stampers across the country... please forward this note. Your support greatly appreciated. It’s always great to have a reason to stamp – this one will raise money for cancer research. Or, if you are local, I’ll be happy to pick them up from you. Just give me a call at (905) 294-1917. Happy March 1! With Sell-A-Bration behind us, it's time to start looking forward towards SPRING! There is a lot going on right now in the world of Stampin' Up!, so I'm here to tell you all about it! 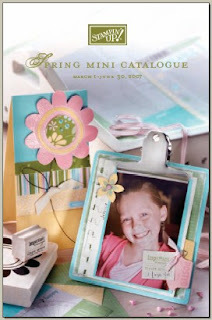 NEW Spring mini catalogue has just been released, so please go check it out HERE -- it's positively GORGEOUS. 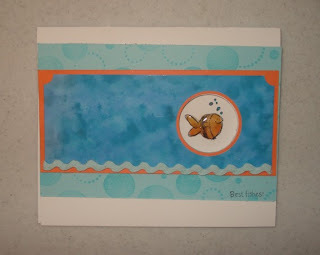 NEW Spring Fever promotion as well, and all the details are listed on my Stampin' Up! website HERE. There's a special bonus for ordering before March 5... check it out to learn more. I've updated my ART GALLERY with 18 new samples, all featuring the Hodgepodge Hardware kits so visit HERE for more inspiration on how to use them. I'm having a class on Saturday using the Copper one, so I'll get a chance to share that artwork with you on a later date. And last but not least, I'll be sending out my March e-newsletter later on today, so be on the lookout for that. If you haven't subscribed yet but want to, just go to the link on the left to sign up.